Protecting your privacy is important to us heart . Lameilleure prime.ca and its subsidiaries and its affiliates (collectively, ” Lameilleureprime.ca ” and “we”) undertake to protect the confidentiality, security and accuracy of personal information they collect, use and disclose in accordance with the law applicable . This privacy protection policy (the “Policy of privacy protection “) is a statement of principles and guidelines concerning the protection of personal information of individuals who are customers, service providers and other individuals ( “you”) ( with the exception of our staff whose personal information is collected , used and disclosed in accordance with our privacy protection policy for the staff). The personal information we collect is collected through forms and through the interactivity between you and our website. We are using Also , as shown in the following section, cookies to collect information about you. 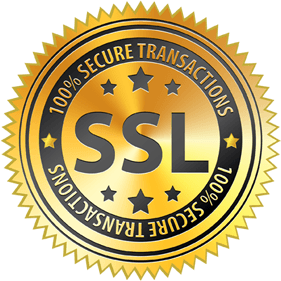 Development Entrust SSL Certificate is a cryptographic protocol that establishes a secure connection between an Internet user and online. 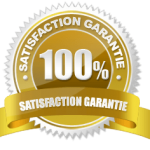 We comply and fulfilling the annual fee necessary to ensure to maintain the security status . 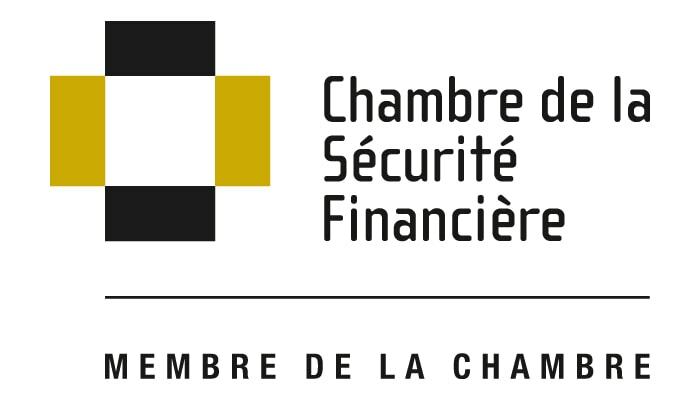 We are committed to respecting the laws set out in the code of ethics or government agencies following the Autorité des Marchés Financiers (AMF ) and the House Financial Security. We must also respect the confidentiality of personal information obtained in connection with the laws Privacy Commissioner and the protection of privacy in Canada. THIS SITE IS NOT PROPERTY OF DESJARDINS FINANCIAL SECURITY SFL PARTNER OF DESJARDINS FINANCIAL SECURITY DESJARDINS SECURITY FINANCIAL INVESTMENTS INC. SFL OR INVESTMENT . Do THEY EXERCISE NO CONTROL OVER THE USE OR THE CONTENT. DESJARDINS FINANCIAL SECURITY AND SUBSIDIARIES IN NO EVENT BE LIABLE TO ANY PERSON FOR ANY , ANY NOR FOR ANY LOSS ( WHETHER ARISING IN CONTRACT OR AFTER TORT , NEGLIGENCE OR OTHERWISE ) RESULTING COULD DIRECTLY OR INDIRECTLY FROM THE USE OF THIS SITE OR THE INFORMATION CONTAINED HEREIN , THE INABILITY TO USE THIS SITE OR THE INFORMATION OR MALFUNCTION OF THIS SITE, INCLUDING ANY DIRECT, INDIRECT, SPECIAL , CONSEQUENTIAL OR ANY THIRD PARTY. This contract constitutes a legal agreement between the site user and lameilleureprime.ca . PLEASE READ CAREFULLY BEFORE ANY NAVIGATION Lameilleureprime.ca browsing , you agree to be bound ( e) by the terms and conditions of this contract , and that , as long as you ‘re site . IF YOU DO NOT WISH TO BE BOUND (E) BY THIS AGREEMENT, DO NOT NAVIGATE ON lameilleureprime.ca . The terms and the contract may change at any time and will take effect automatically. The Site lameilleureprime.ca provides users on the Internet access to view and shop for personal , life insurance premiums , insurance serious illness , long durations care , health care or disability of the 15 largest insurers in Canada available at the time of connection. The Information on this site should not be considered financial advice but to informative title . These general conditions apply to all services of products and services provided by our partners advisers. By using the services , the customer agrees to use the Services under the applicable laws and regulations of the Financial Markets Authority (AMF) , the House of the Financial Security and insurers involved. All contents (text, graphics, images, codes and URL) reproduced on the site lameilleureprime.ca and the selection, arrangement and composition belong to their owners or are licensed by third parties and are protected by copyright for the whole world. Total or partial reproduction Lameilleureprime.ca site contents is strictly prohibited. No license or content usage rights are granted to users of the site. It is you, among other prohibited commercial or profit, modify, copy, distribute, publish, transmit, distribute, reproduce, compile, arrange, or save content or create compilations, including all or part of the contents, or transfer to anyone the contents in any manner whatsoever, including the reproduction and transmission of an extract content with or without a hyperlink. It is also illegal to sell or profit in any way whether any information, software, products or services obtained from the site, or create derivative works and compilations of the above. Note that each insurer has its own Risk Assessment Service and the decisions of acceptance or refusal can Deferred from institution to institution the other. Lameilleureprime.ca can not be held responsible for the decision of insurers. It is always advisable to share with the greatest possible accuracy the current health of the offering that could affect the approval of the insurance application . Our partners are independent advisors and brokers will interview no conflict of interest with the insurers they represent. They receive no gifts , travel or financial or other incentive that could change the service offering that is offered on the lameilleureprime.ca site. The only factor that influences choice of the selected product is the financial needs analysis conducted with the offering . It is forbidden to carry on the website texts defamatory , obscene, offensive, violent or racist or illegal material that would violate the intellectual property others , under penalty of law . The user agrees to use the services in compliance with the laws and not to falsify information it provides. Lameilleureprime.ca does not guarantee efficiency or total security. It is possible that a hacker manages to penetrate the server. It is therefore important to keep in mind, BEFORE USING YOUR IDENTITY TO BROWSE AND / OR PERFORMING TRANSACTIONS ON OUR SITE, it is always possible for a malicious person accesses the server of the website and used for its own purposes, certain personal information left by the members. IN Lameilleureprime.ca NO EVENT nor any of its directors, shall be held responsible for acts of hacking or be blamed for some loss or damage this may cause to a member of the site. Lameilleureprime.ca the site may suffer occasional breakdowns and errors programming can be caused by updates or by events beyond the control of administrators. Neither the directors nor any member of the organization can be held responsible if a member is unable to navigate the site lameilleureprime.ca, and that, whatever the reason which prevents (misunderstanding, faulty telephone line, incompatible modem, broken cable, misconfiguration, incorrect browser, etc.). Insurance premiums and other financial information are available on lameilleureprime.ca for informational purposes . Despite the fact that the company carries the frequent updates of data it can not guarantee the accuracy of information provided. It can not be responsible for the consequences of inaccuracy or error and omission of this information or for damages resulting sense and no liability with respect to reliability Information contained on the site. Lameilleureprime.ca uses the system of quotation Quotation Compulife System® ( CQS ) to establish the insurance premiums offered to users of the site. Lameilleureprime.ca or owner can not be held responsible for inaccuracy or error given from the use of this system . Lameilleureprime.ca or a third party may link to other sites or sources. Lameilleureprime.ca has no way to control these sites and sources , and does not respond to the availability of such sites and external sources nor guarantee . Lameilleureprime.ca does not endorse or approve the content that these sites or sources give access, and excludes all liability and guarantee with regard to such content. Lameilleureprime.ca , the parent companies or subsidiaries and affiliates shall not be liable for damages, including damages compensatory , incidental or consequential , or other damages of any nature whatsoever which may be caused to users or any other person moral or physical , by any technical or technological equipment whatsoever on lameilleureprime.ca site or by any technical or human error can occur at any stage whatsoever of technical problems or malfunctions of the electronic network or communication network of computer online systems, servers , computer equipment , software, data communications or other technical problems or congestion of the website or others. This agreement on the conditions of service are governed by the applicable laws of the Province of Quebec . You hereby acknowledge that any dispute arising out of or related to the use of services and websites lameilleureprime.ca will be subject to the jurisdiction of the district courts of Longueuil , Province Quebec. Lameilleureprime.ca or its owners will not be liable for non-performance, in whole or in part, of any of its obligations to you, nor damage or loss you may suffer if the failure , damage or loss resulting from a force majeure or circumstances beyond its control.